The inhibitory effect of Tranexamic Acid (TXA) on γ-aminobutyric acid and glycine receptors of spinal dorsal horn neurons which leads to pain arousal, has been highlighted recently in animal studies. Such findings would elicit concerns about adverse effects of TXA as a routine agent used to reduce perioperative blood loss. This study aimed to evaluate the effect of different doses of TXA on analgesic requirements in adolescent patients undergoing elective single-stage posterior spine fusion surgery for idiopathic scoliosis. This prospective, randomized, double-blinded study comprised 75 patients who were randomly allocated to one of three groups. Each group comprised 25 patients. In group C (Control), patients received normal saline. While in group HD (High Dose), patients received TXA with a loading dose of 50 mg/kg and maintenance dose of 20 mg/kg/h and patients in group LD (Low Dose) received TXA with a loading dose of 10 mg/kg and maintenance dose of 1 mg/kg/h. The total intraoperative fentanyl dose was calculated for each patient which we used as a measure of the patients’ nociception level. Group HD patients’ required the highest dose of fentanyl compared to those in LD group (mean of 60µg versus 27µg). Patients in group C received no extra intraoperative narcotic doses and experienced the longest duration of surgical procedure. These results showed high statistically significant difference (p < 0.001). 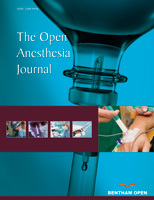 Intraoperative administration of TXA increases the analgesic requirement during elective single stage posterior spine fusion surgery which likely reflects an increase in patients’ intraoperative nociception. Keywords: Adverse effects, Bleeding, Fentanyl, Idiopathic Scoliosis, Nociception, Tranexamic Acid. © 2018 Saleh et al.